Pulsars are what remains when a massive star undergoes gravitational collapse and explodes in a supernova. These remnants (also known as neutron stars) are extremely dense, with several Earth-masses crammed into a space the size of a small country. They also have powerful magnetic fields, which causes them to rotate rapidly and emit powerful beams of gamma rays or x-rays – which lends them the appearance of a lighthouse. In some cases, pulsars spin especially fast, taking only milliseconds to complete a single rotation. 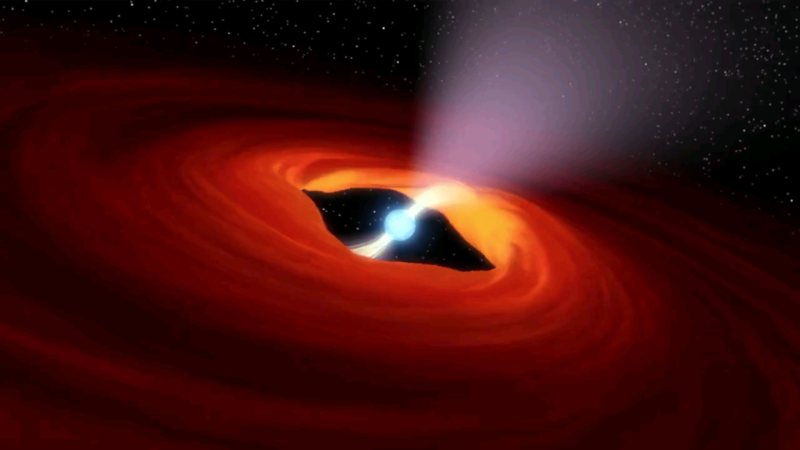 These “millisecond pulsars” remain a source of mystery for astronomers. And after following up on previous observations, researchers using the Low Frequency Array (LOFAR) radio telescope in the Netherlands identified a pulsar (PSR J0952?0607) that spins more than 42,000 times per minute, making it the second-fastest pulsar ever discovered. The study which described their findings, titled “LOFAR Discovery of the Fastest-spinning Millisecond Pulsar in the Galactic Field“, recently appeared in The Astrophysical Journal Letters. Led by Dr. Cees Bassa, an astrophysicist from the University of Utrecht and the Netherlands Institute for Radio Astronomy (ASTRON), the team conducted follow-up observations of PSR J0952?0607, a millisecond pulsar located 3,200 to 5,700 light-years away. Their follow-up observations indicated that this particular source was a pulsar that spins at a rate of 707 revolutions (Hz) per second, which works out to 42,000 revolutions per minute. This makes it, by definition, a millisecond pulsar. The team also confirmed that it is about 1.4 Solar Masses and is orbited every 6.4 hours by a companion star that has been stripped down to less than 0.05 Jupiter masses. 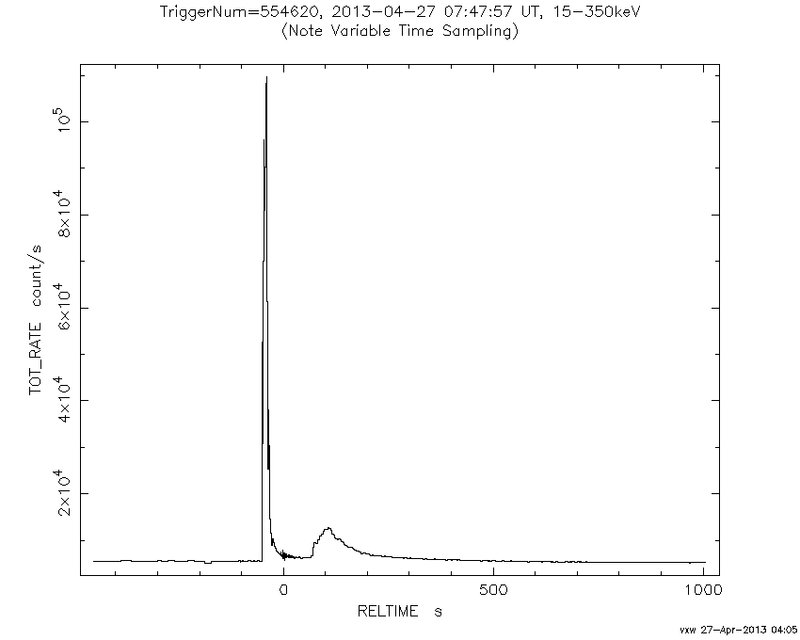 The presence of this lightweight companion is a further indication of how the spin of this pulsar became so rapid. Over time, matter would have been stripped away from the star, gradually accreting onto PSR J0952?0607. This would not only raise its spin rate but also greatly increase its electromagnetic emissions. The process continues to this day, with the star becoming increasingly smaller as the pulsar becomes more energetic. Because of the nature of this relationship (which can only be described as “cannibalistic”), systems like PSR J0952?0607 are often called “black widow” or “redback” pulsars. Most of these systems were found by following up on sources identified by the Fermi mission, since the process has been known to result in a considerable amount of electromagnetic radiation being released. The fastest spinning pulsar known, PSR J1748-2446ad, spins just slightly faster than PSR J0952?0607 – reaching a rate of nearly 43,000 rpm (or 716 revolutions per second). But some theorists think that pulsars could spin as fast as 72,000 rpm (almost twice as fast) before breaking up. This remains a theory, since rapidly-spinning pulsars are rather difficult to detect. But with the help of instrument like LOFAR, that could be changing. For instance, both PSR J1748-2446ad and PSR J0952?0607 were shown to have steep spectra – much like radio galaxies and Active Galactic Nuclei. The same was true of J1552+5437, another millisecond pular detected by LOFAR which spins at 25,000 rpm. As Ziggy Pleunis – a doctoral student at McGill University in Montreal and a co-author on the study – indicated, this could be a sign that the fastest-spinning pulsars are just waiting to be found. As with many other areas of astronomical research, improvements in instrumentation and methodology are allowing for new and exciting discoveries. As expected, some of the things we are finding are forcing astronomers to rethink more than a few previously-held assumptions about the nature and limits of certain phenomena. A unique observatory buried deep in the clear ice of the South Pole region, an orbiting observatory that monitors gamma rays, a powerful outburst from a black hole 10 billion light years away, and a super-energetic neutrino named Big Bird. These are the cast of characters that populate a paper published in Nature Physics, on Monday April 18th. The observatory that resides deep in the cold dark of the Antarctic ice has one job: to detect neutrinos. Neutrinos are strange, standoffish particles, sometimes called ‘ghost particles’ because they’re so difficult to detect. They’re like the noble gases of the particle world. Though neutrinos vastly outnumber all other atoms in our Universe, they rarely interact with other particles, and they have no electrical charge. This allows them to pass through normal matter almost unimpeded. To even detect them, you need a dark, undisturbed place, isolated from cosmic rays and background radiation. This explains why they built an observatory in solid ice. This observatory, called the IceCube Neutrino Observatory, is the ideal place to detect neutrinos. On the rare occasion when a neutrino does interact with the ice surrounding the observatory, a charged particle is created. This particle can be either an electron, muon, or tau. If these charged particles are of sufficiently high energy, then the strings of detectors that make up IceCube can detect it. Once this data is analyzed, the source of the neutrinos can be known. The next actor in this scenario is NASA’s Fermi Gamma-Ray Space Telescope. Fermi was launched in 2008, with a specific job in mind. Its job is to look at some of the exceptional phenomena in our Universe that generate extraordinarily large amounts of energy, like super-massive black holes, exploding stars, jets of hot gas moving at relativistic speeds, and merging neutron stars. These things generate enormous amounts of gamma-ray energy, the part of the electromagnetic spectrum that Fermi looks at exclusively. Next comes PKS B1424-418, a distant galaxy with a black hole at its center. About 10 billion years ago, this black hole produced a powerful outburst of energy, called a blazar because it’s pointed at Earth. The light from this outburst started arriving at Earth in 2012. For a year, the blazar in PKS B1424-418 shone 15-30 times brighter in the gamma spectrum than it did before the burst. Detecting neutrinos is a rare occurrence. So far, IceCube has detected about a hundred of them. For some reason, the most energetic of these neutrinos are named after characters on the popular children’s show called Sesame Street. In December 2012, IceCube detected an exceptionally energetic neutrino, and named it Big Bird. Big Bird had an energy level greater than 2 quadrillion electron volts. That’s an enormous amount of energy shoved into a particle that is thought to have less than one millionth the mass of an electron. Big Bird was clearly a big deal, and scientists wanted to know its source. IceCube was able to narrow the source down, but not pinpoint it. Its source was determined to be a 32 degree wide patch of the southern sky. Though helpful, that patch is still the size of 64 full Moons. Still, it was intriguing, because in that patch of sky was PKS B1424-418, the source of the blazar energy detected by Fermi. However, there are also other blazars in that section of the sky. The scientists looking for Big Bird’s source needed more data. They got it from TANAMI, an observing program that used the combined power of several networked terrestrial telescopes to create a virtual telescope 9,650 km(6,000 miles) across. TANAMI is a long-term program monitoring 100 active galaxies that are located in the southern sky. Since TANAMI is watching other active galaxies, and the energetic jets coming from them, it was able to exclude them as the source for Big Bird. So what does this mean? It means that we can pinpoint the source of a neutrino. And that’s good for science. Neutrinos are notoriously difficult to detect, and they’re not that well understood. The new detection method, involving the Fermi Telescope in conjunction with the TANAMI array, will not only be able to locate the source of super-energetic neutrinos, but now the detection of a neutrino by IceCube will generate a real-time alert when the source of the neutrino can be narrowed down to an area about the size of the full Moon. This promises to open a whole new window on neutrinos, the plentiful yet elusive ‘ghost particles’ that populate the Universe. How Much Light Has The Universe Created Since the Big Bang? The universe, most cosmologists tell us, began with a bang. At some point, the lights turned on. How much light has the universe produced since it was born, 13.8 billion years ago? It seems a difficult answer at first glance. Turn on a light bulb, turn it off and the photons appear to vanish. In space, however, we can track them down. Every light particle ever radiated by galaxies and stars is still travelling, which is why we can peer so far back in time with our telescopes. It’s hard to see this faint background light against the powerful glow of stars and galaxies today, about as hard as it is to see the Milky Way from downtown Manhattan, the astronomers said. The solution involves gamma rays and blazars, which are huge black holes in the heart of a galaxy that produce jets of material that point towards Earth. Just like a flashlight. When this happens, the gamma ray and photon each zap out and produce a negatively charged electron and a positively charged positron. More interestingly, blazars produce gamma rays at slightly different energies, which are in turn stopped by EBL photons at different energies themselves. So, by figuring out how many gamma rays with different energies are stopped by the photons, we can see how many EBL photons are between us and the distant blazars. Scientists have now just announced they could see how the EBL changed over time. Peering further back in the universe, as we said earlier, serves as a sort of time machine. So, the further back we see the gamma rays zap out, the better we can map out the EBL’s changes in earlier eras. – Compared the gamma-ray findings of the Fermi Gamma-ray Space Telescope to the intensity of X-rays measured by several X-ray observatories, including the Chandra X-Ray Observatory, the Swift Gamma-Ray Burst Mission, the Rossi X-ray Timing Explorer, and XMM/Newton. This let astronomers figure out what the blazars’ brightnesses were at different energies. The measurements we have in this paper are about as far back as we can see right now, the astronomers added. “Five billion years ago is the maximum distance we are able to probe with our current technology,” stated the paper’s lead author, Alberto Dominguez. Last weekend (April 27, 2013), the Fermi and Swift spacecraft witnessed a “shockingly” bright burst of gamma rays from a dying star. Named GRB 130427A, it produced one of the longest lasting and brightest GRBs ever detected. Because Swift was able to rapidly determine the GRB’s position in the sky, and also because of the duration and brightness of the burst, the GRB was able to be detected in optical, infrared and radio wavelengths by ground-based observatories. Astronomers quickly learned that the GRB had one other near-record breaking quality: it was relatively close, as it took place just 3.6 billion light-years away. “This GRB is in the closest 5 percent of bursts, so the big push now is to find an emerging supernova, which accompanies nearly all long GRBs at this distance,” said Neil Gehrels, principal investigator for Swift. Swift’s X-Ray Telescope took this 0.1-second exposure of GRB 130427A at 3:50 a.m. EDT on April 27, just moments after Swift and Fermi triggered on the outburst. The image is 6.5 arcminutes across. No two GRBs are the same, but they are usually classified as either long or short depending on the burst’s duration. Long bursts are more common and last for between 2 seconds and several minutes; short bursts last less than 2 seconds, meaning the action can all over in only milliseconds. This recent event started just after 3:47 a.m. EDT on April 27. Fermi’s Gamma-ray Burst Monitor (GBM) triggered on the eruption of high-energy light in the constellation Leo. The burst occurred as NASA’s Swift satellite was slewing between targets, which delayed its Burst Alert Telescope’s detection by a few seconds. Fermi’s Large Area Telescope (LAT) recorded one gamma ray with an energy of at least 94 billion electron volts (GeV), or some 35 billion times the energy of visible light, and about three times greater than the LAT’s previous record. The GeV emission from the burst lasted for hours, and it remained detectable by the LAT for the better part of a day, setting a new record for the longest gamma-ray emission from a GRB. The Swift BAT light curve. Credit: NASA/Swift team. As far as the optical brightness of this event, according to a note posted on the BAUT Forum (the Universe Today and Bad Astronomy forum) data from the SARA-North 1-meter telescope at at Kitt Peak in Arizona at about 04:00 UT on April 29 showed a relative magnitude of about 18.5. Gamma-ray bursts are the universe’s most luminous explosions, and come from the explosion of massive stars or the collision between two pulsars. Colliding pulsars are usually of short duration, so astronomers can rule out a pulsar collision as causing this event. If the GRB is near enough, astronomers usually discover a supernova at the site a week or so after the outburst. NASA said that ground-based observatories are monitoring the location of GRB 130427A and expect to find an underlying supernova by midmonth.